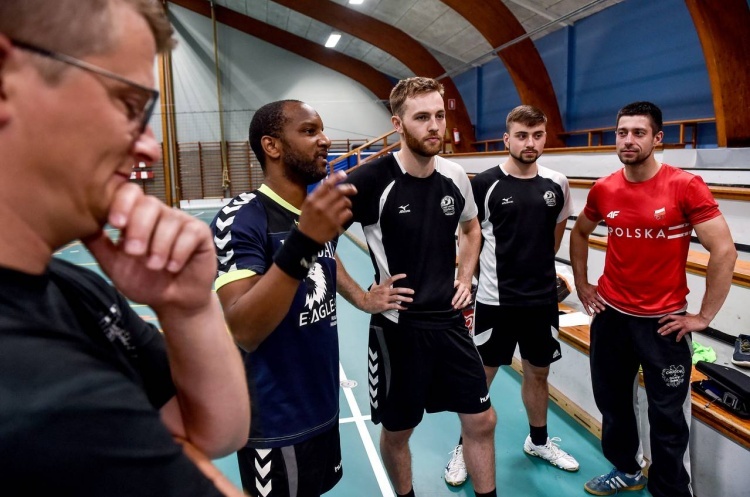 Four Eagles players/coaches travelled to the southern Danish town for a weekend of training sessions with age-group teams from under-6 to under-14 to experience handball in a country of 130,000 players. Generously supported by the chairman of Vidar-Ulkebøl, Tommy Vejlgaard Vedstesen, the four Eagles, Marc Fayemi, Gilbert Lewis, Razvan Mihaila and Radoslaw Kozaczuk, were introduced to all aspects of the club from the volunteers, coaches, management structure and of course the superb training facilities, including that of local professional team SønderjyskE. Having watched the U6 training session Marc Fayemi said, “it's impressive to see that they can start so early. To us it is a big challenge. It has been exciting to see the club and all the volunteers”. One thing all coaches agreed on was how dynamic the training was at such a young age with all parents joining in too, and at later age-groups they found there was a much greater focus on individual technique compared to the UK. The Eagles group return from Denmark with many great ideas they hope to put into practice! Vidar-Ulkebøl will be returning to London with a committee of their own this September where they hope to meet the men’s senior team, particularly as it’s the only team they are missing from their roster. In the near future both clubs hope to start exchanging players for tournaments and camps in both Denmark and London.